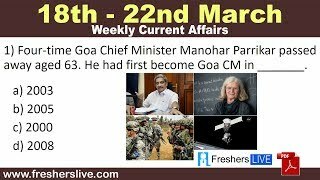 23 March 2019 Current Affairs: The government of Uttarakhand in a bid to promote tourism will be introducing mobile caravans or motor homes equipped with every facility you can expect to find in a regular house. The portable homes will enable you to access remote locations. The plan also includes the development of parks for the caravans to be stationed. These complexes will provide water, electricity and waste disposal facilities. This way, coupled with the government’s endeavour to build homestays in and around popular tourist spots, soon most Himalaya vistas will be enjoyable from your windowsill. We are working on a plan to introduce fleets of mobile caravans equipped with all facilities available in homes, which will be introduced soon. The government of Uttarakhand in a bid to promote tourism will be introducing mobile caravans or motor homes equipped with every facility you can expect to find in a regular house.